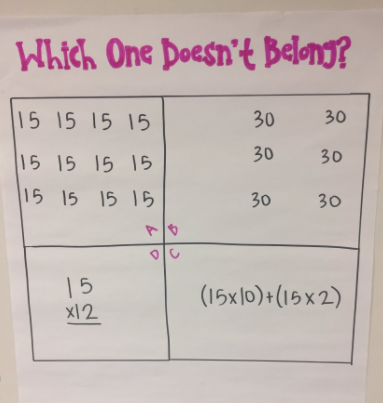 Using Andrew Stadel's 3 act task, Black Box Fractions, my students analyzed a short video and discussed what they noticed and what they wondered about the fractions. 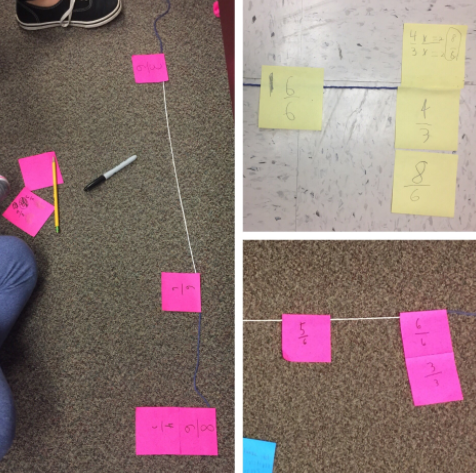 After solving the task, students created their own Black Box Fractions using Google Drawings. 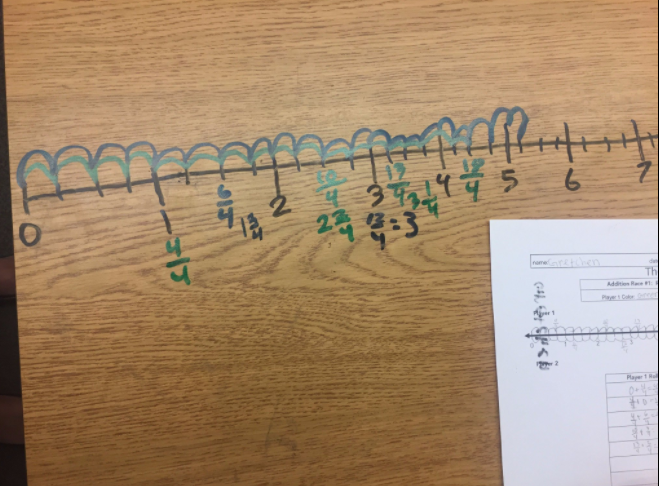 Number lines are way more fun when you can write on your desk! 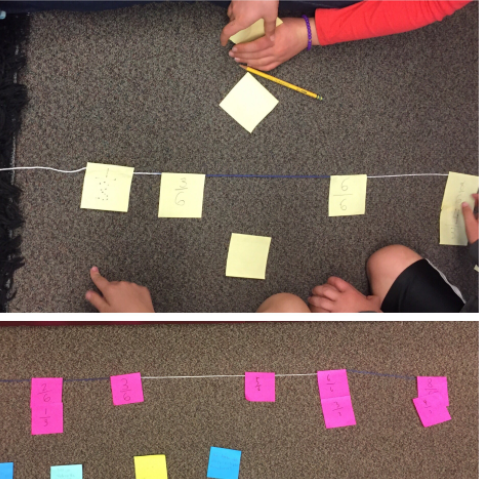 This is a modified version of Irvine Math Project's Fraction Race game. 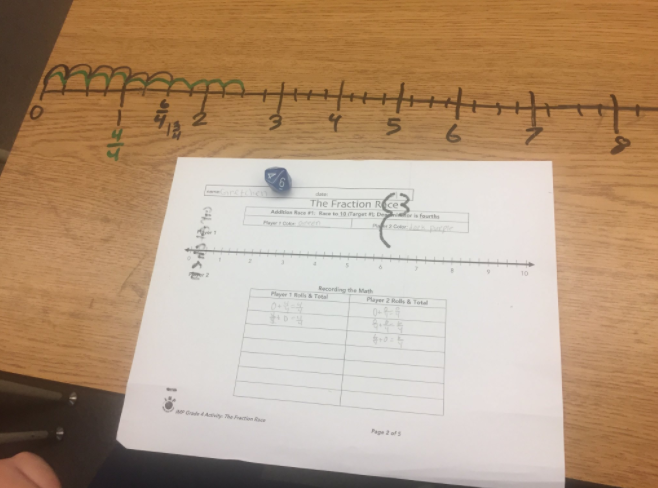 Students practice adding fractions on the number line and "race" to the finish line. My students love Which One Doesn't Belong puzzles. Students can find multiple correct answers and shift their focus to justifications and arguments for their thinking.